My UMPC Price-check reveals stagnation. One of my personal favourite UMPCs. Good build quality, excellent battery life, fantastic screen. Update: Saveonsamsung (UK) have even lower prices. 529 pounds with organiser and 6-cell battery. Another good all rounder. 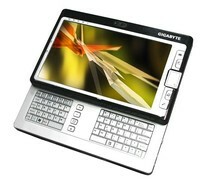 Not quite as good as the Q1 in terms of build quality but has a better keyboard. Resellers must be having a hard time right now trying to decide whether to clear stocks at a loss or to hang on for the few buyers that know what they want and will pay to get that device. I can tell you that by reviewing the stats coming from the product portal we see an extremely quiet market out there for the traditional XP and Vista UMPCs. 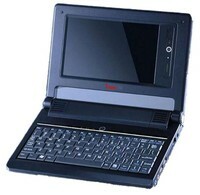 With very few devices in the 7″ category, CES round the corner and netbooks taking the limelight, it’s hardly surprising. Lets hope that the MID and ultra mobile PC segment brings us some treats in January though. Mobile Internet usage is growing and, more importantly for the MID manufacturers, people’s reliance on the Internet to perform normal business and personal activities is growing too. There’s more reason than ever to launch internet-connected handheld computers. Easynote XS20 price dump is not enough! Remember the days when we thought 499 Euros was a great price for a mobile PC with 1.2 Ghz, 1024MB RAM, BT, Wifi and a 30GB drive? Three months later and the Packard Bell Easynote XS20 is now going for 349 Euro which is even better value but the amazing thing is that its probably not low enough for consumers. The Acer Aspire One with a better screen, 80GB drive, far better design and the new Atom processor with better video and graphics capability, is the same price! As a consumer, I’m enjoying these low prices but I can see that the little guys are going to get squeezed out. Innovation, as we’ve seen it with UMPCs over the last two years, will become more and more difficult as people demand lower and lower prices. It’s almost sad.